Karnataka Chief Minister H D Kumaraswamy Friday expressed confidence that the state will soon get clearance from the Central Water Commission for the proposed Rs 5,912-crore Mekedatu project on the Cauvery river. The chief minister met Union Water Resources and Road, Transport and Highways Minister Nitin Gadkari in the national capital and raised several issues including Mekedatu project, Mahadayi river as well as funds to repair national highways passing through the state. "On the Mekedatu project, he (Gadkari) responded positively. 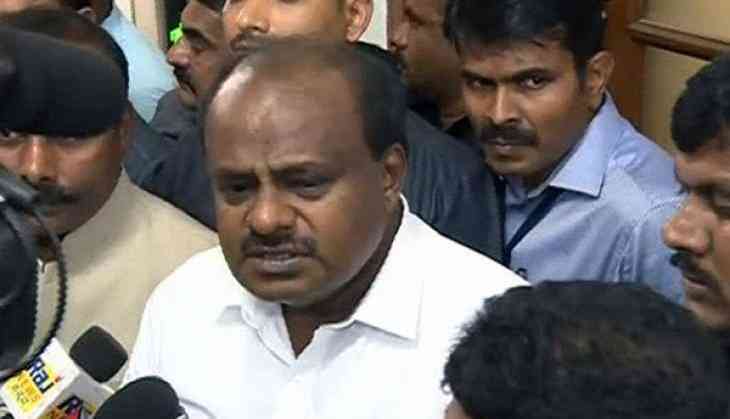 ...After today's talks, I am confident of getting approval any time soon," Kumaraswamy told reporters after the meeting. After getting the CWC approval to the project, the state will have to take forest and environment clearances from the central government, he said. Expressing concern over delay in construction of the Mekedatu dam project, Kumaraswamy said a lot of time has been wasted and there is an urgent need to minimise the spillage of surplus river water to the sea. "We have already released 346 tmc of water to Tamil Nadu. There is a spillage of over 200 tmc of surplus water into the sea. Had we saved this water, we could have used it next year in times of rainfall shortage," he said. These facts have been brought to the notice of the Union Minister, who has further given necessary direction to CWC officials, he added. On the Mahadayi river water issue, Kumaraswamy said the state government has requested the Centre to issue a notificatin allowing it to utilise the water alotted by the Mahadayi River Water Tribunal. The Tribunal in its August 14 order had allotted 13.5 TMC of water to Karnataka from the river, while Goa and Maharashtra have been allowed to use 24 TMC and 1.33 TMC of water respectively. Meanwhile, the Goa government has moved a notice to the Tribunal seeking clarification on the order. In the meeting, Kumaraswamy said the state demanded that the Centre should issue the notification before the Tribunal takes up Goa's notice seeking clarification. He also reminded several instances of the past. "There is a scope to issue the notification. To start the Mahadayi work, the notification is required. They (Centre) responded positively," he said. With regards to roads, the chief minister sought more funds to repair highways in the state, which have been damaged due to recent floods. The state government demanded immediate release of Rs 250 crore to the state for undertaking reconstruction and rebuilding of the damaged national highways. A 512.45 km stretch of national highways has been damaged in the state and the cost of reconstruction is estimated to be to the tune of Rs 781 crore, he said in a representation. As per the preliminary estimate, incessant rains/flash floods and landslides have damaged 2,910 km of national highways, state highways, major district roads, 419 bridges and 72 public buildings, causing a loss of Rs 2,078.88 crore. The chief minister also requested Gadkari to fix a suitable time for laying foundation stone of two highways projects in Hassan.